This is one of the most popular of the cultural trips. We visit most of the important sites of western Bhutan while extending further into central Bhutan. We start the trip in Thimphu with a full day of the highlights of the Capital City. Continue to Punakha, the old Capital of Bhutan. The Divine Madman Temple and the historic Punakha Dzong is on your list. The trip takes you to one of the beautiful valleys of Bhutan. Phobjikha valley at Gangtey Gompa is the winter home for endangered species of crane called the Balck-necked Crane. Sighting of this wonderful species is possible from November to end of February. A day of nature walk in this valley is something to look for. 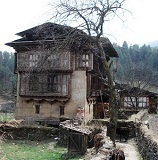 Then we traverse the historic region of Trongsa and drive further to Bumthang. Trongsa Dzong and the Ta Dzong (museum) is something special on our list. Bumthang sightseeing will include old temples dating back from the 7th century to numerous sacred places dear to Buddhists. The valley is broad and has a domestic airport. This allows us a softer ride to Paro. 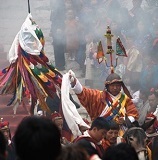 In Paro we have a whole day of cultural sightseeing. The final day wraps up with a hike to the famous Tiger Nest temples built on sheer rock face. Day 04: Drive to Gangtey Gompa. Day 05: Gangtey valley walk. Day 06. Drive to Bumthang via Trongsa. Day 08: Fly on domestic flight- Bumthang-Paro. Day 09: Excursion to Tiger’s Nest.